The versatility of sweet potato! Sweet potatoes are versatile, sweet, nutritious and affordable! 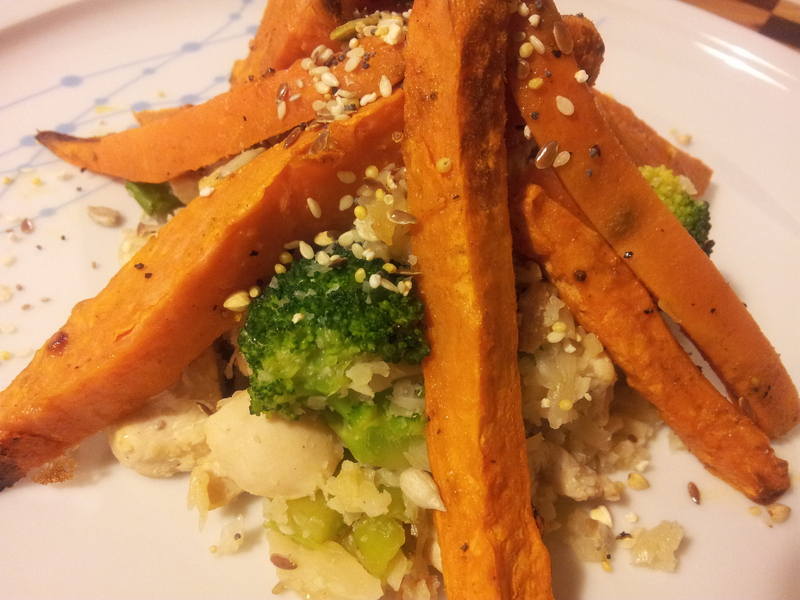 A simple dinner with sweet potato as the centre piece. 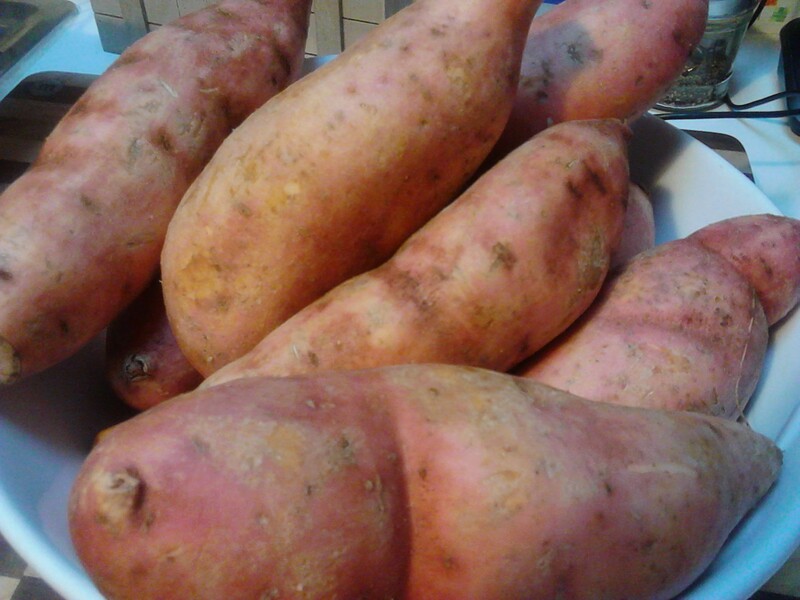 Oh, how l love the sweet potato which is also known as kumara or yam. 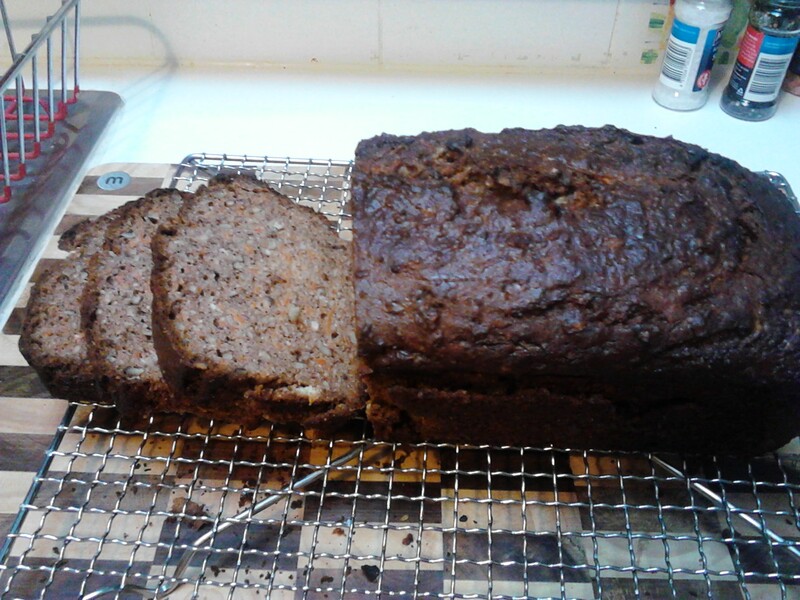 Not much to look at in the shops, but once cooked the flavour is enticing. The orange sweet potato is always in my fridge. Sweet Potato is a good source of complex carbohydrates, dietary fibre and beta carotene, and this root vegetable also has modest amounts of Vitamin C, Iron, Calcium, Vitamin B6 and Magnesium. 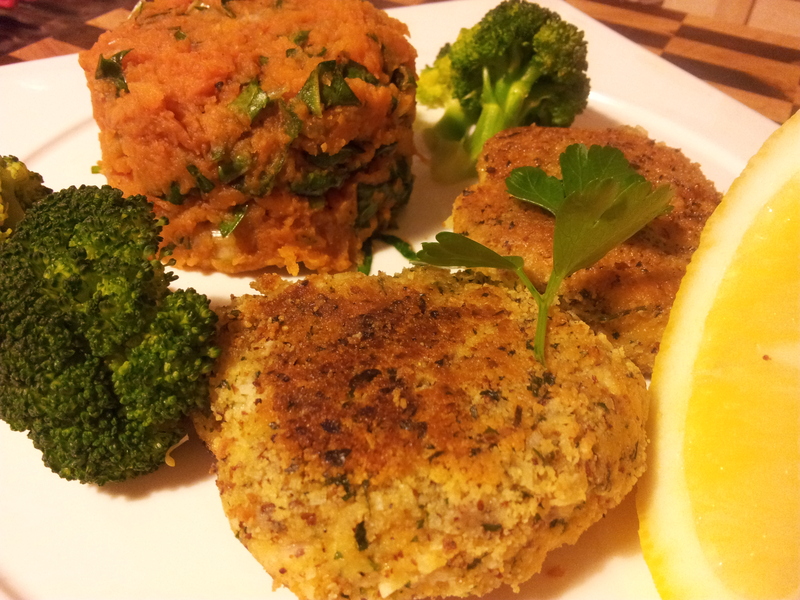 A sweet potato mash with silverbeet, parsley and spring onion adds some colour to this meal. Since l stopped eating processed sugar l like to include foods which are naturally sweet as part of my everyday diet. The sweet potato is a lovely addition to a meal because of its beautiful sweet taste, soft texture and bright colour. It is extremely easy to cook with and difficult to ruin. I am amazed at the lovely flavour it adds to baked goods such as cakes and pancakes and although l prefer it cooked it can be a good addition raw to a smoothie. 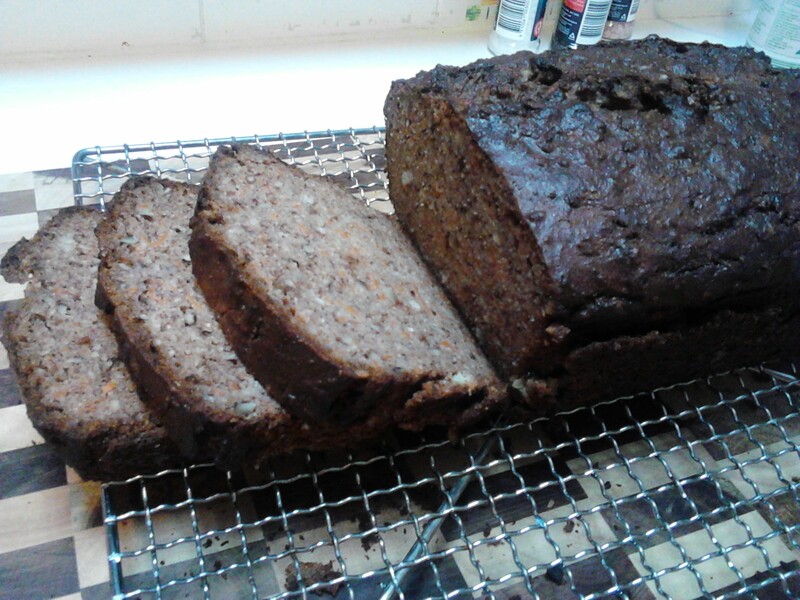 Sweet Potato and Walnut cake. 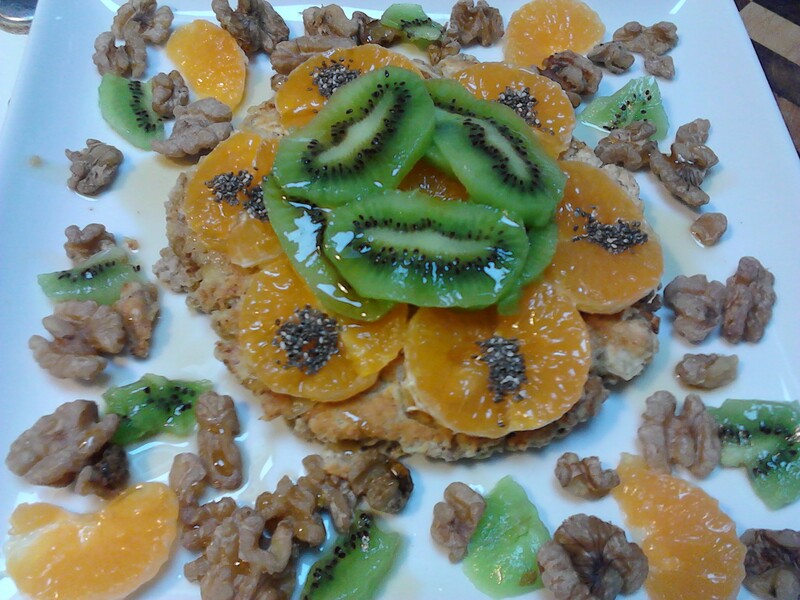 A Paleo, gluten, dairy sugar free pancake with grated sweet potato mixed through the batter. Raw sweet potato in a juice tastes a lot like carrot and makes it creamy. I can’t remember when l first ate a sweet potato but it certainly wasn’t until l was an adult. It has some similarities in flavour and colour to the pumpkin but holds together better when cooked and is especially delicious cut into chips. Sweet Potatoes can be bought quite small or enormously large, and the surprising thing is that in my experience the flavour is the same whatever size you buy. They are also available with a red skin and a white flesh and this is one of those times when your taste buds can get very confused as the taste is the same as the orange version. I have to admit here that l have on occasion tricked my children into thinking they were eating normal potato when in fact it was the red sweet potato just to get them to try a new vegetable. How many ways can one vegetable be used in recipes? Sweet Potato Chips as a snack. Coat them in olive or coconut oil and season before cooking. 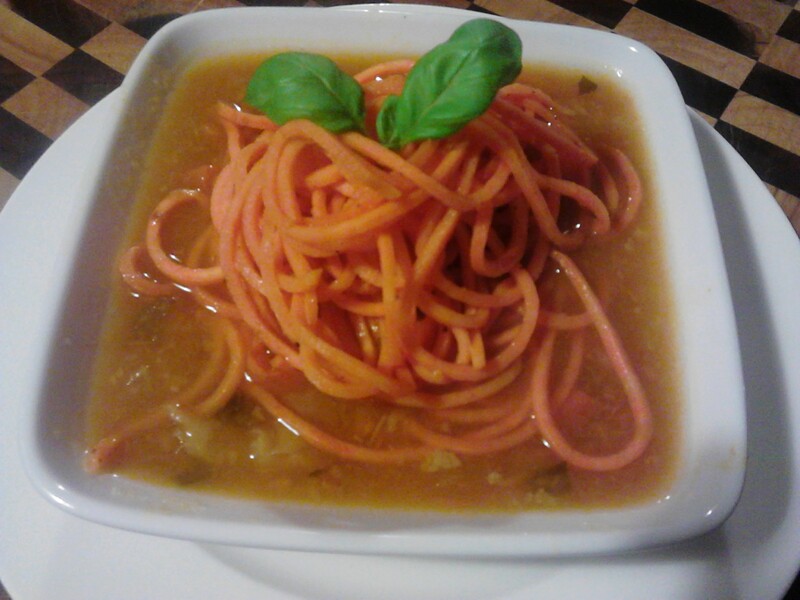 Sweet Potato and vegetable soup. 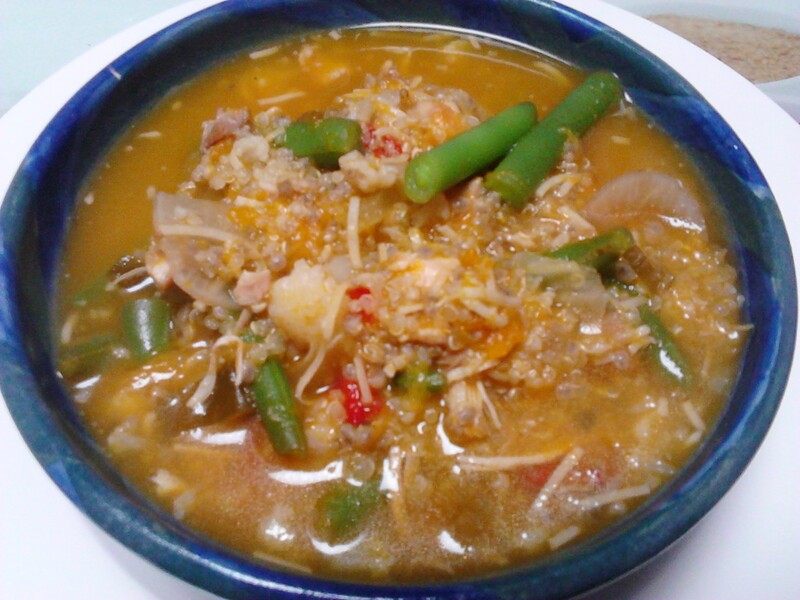 See the main meals section for a soup recipe. Sweet potato chips are my favourite. Sweet Potato casserole. This has chicken, vegetables, coconut and spices. It cooks in the slow cooker all day and is lovely. The recipe is in the main meals section. A gluten free pizza with sweet potato. 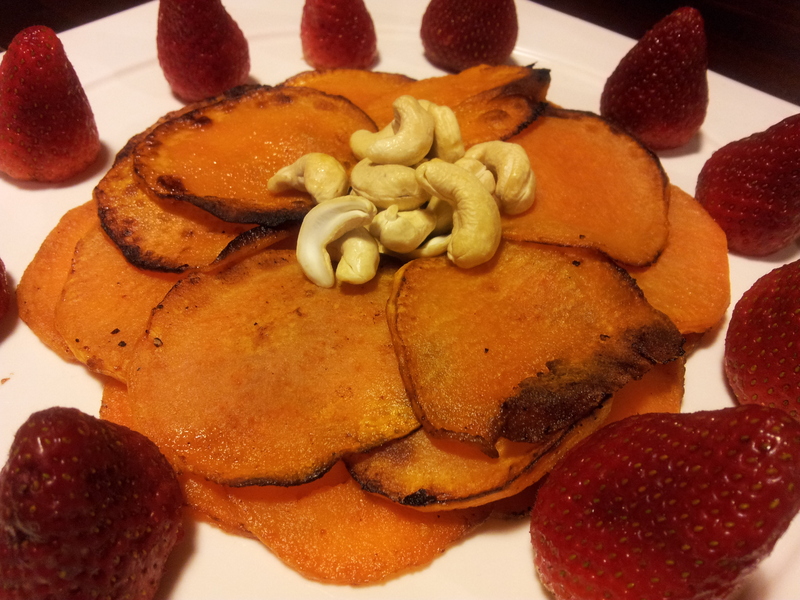 I hope you can enjoy the sweet potato as much as l do and make it a regular part of your meals. 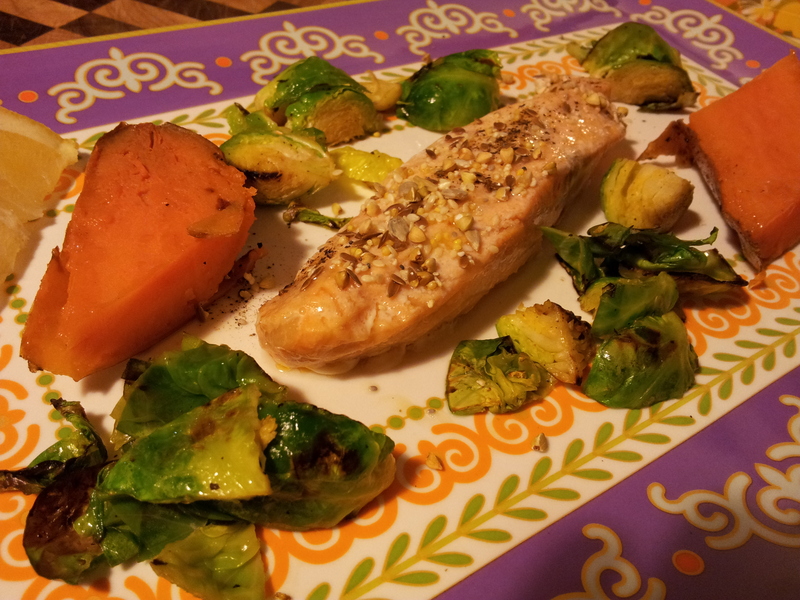 Roasted sweet potato with salmon is delicious here. I roasted it with the skin on and then sliced it before serving. 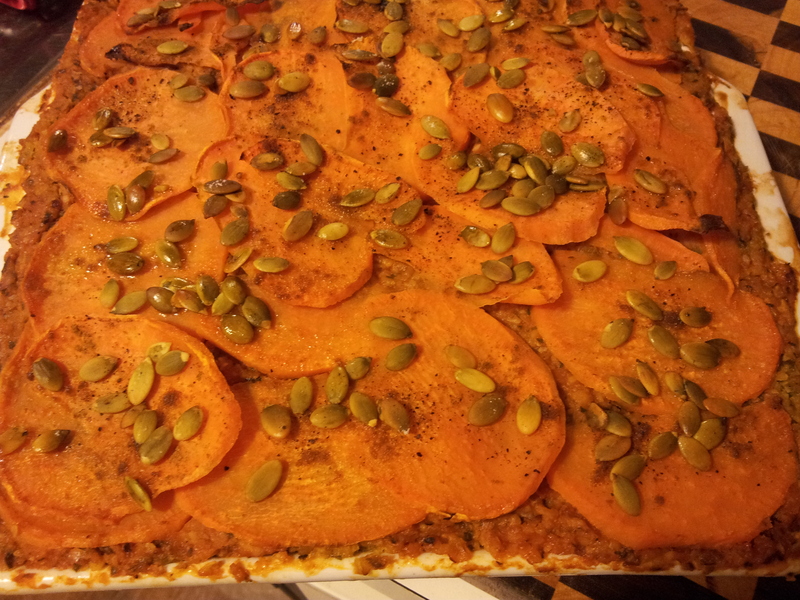 Vegetarian lasagna with sweet potato layers. If you have enjoyed this post please share with a friend. You can follow me daily on Instagram at holistic_paleo. 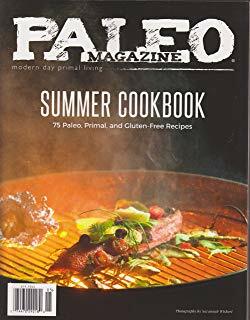 Here is a link to a great online book store where you can purchase some Paleo and wellness books. Just click on the logo to see some great books.